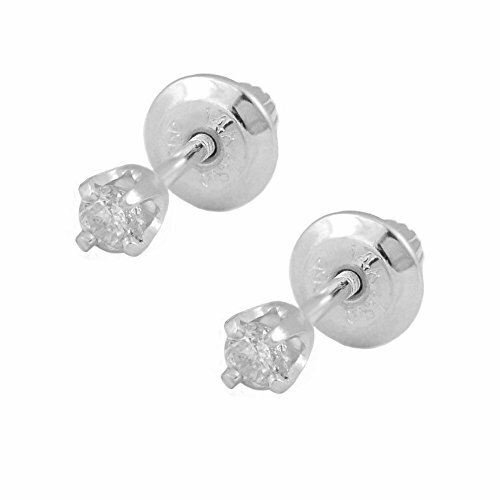 Girl's Jewelry - Brilliant total 0.10 carat weight round diamond stud earrings, each diamond is hand selected and hand set on Four-Prong 14K white gold setting for perfect display. Shorter post suits young ones' ears. The screw back is safe and smooth on the bottom for comfort.